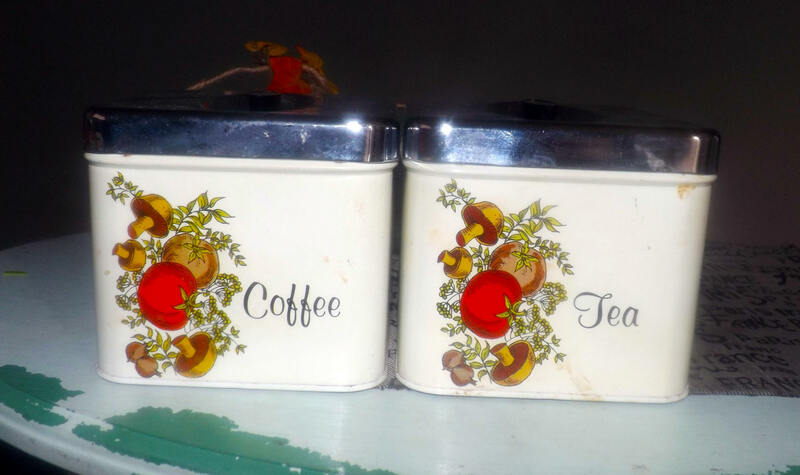 Pair of vintage (1960s) Cheinco USA Spice of Life pattern metal tea and coffee canisters with lids. Vegetable imagery, chrome lids. 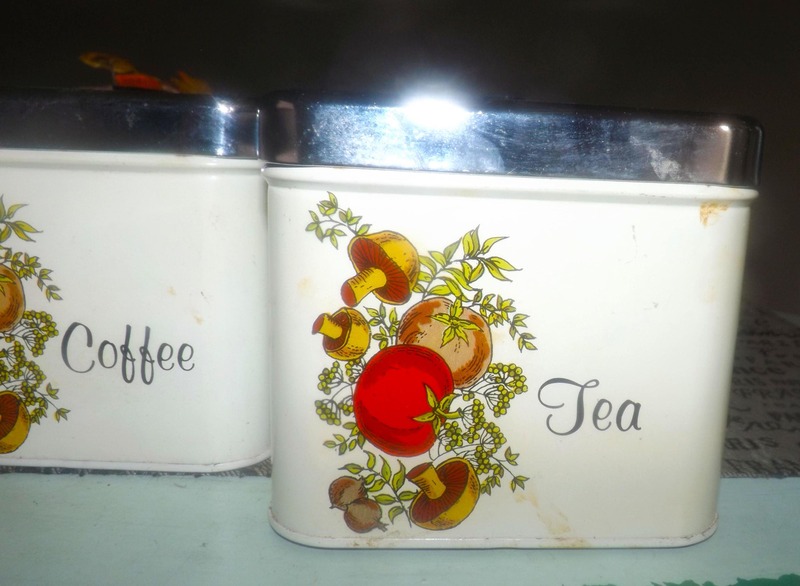 Pair of vintage (late 1960s) Cheinco USA Spice of Life pattern metal tea and coffee canisters with lids. Vegetable imagery, chrome lids. 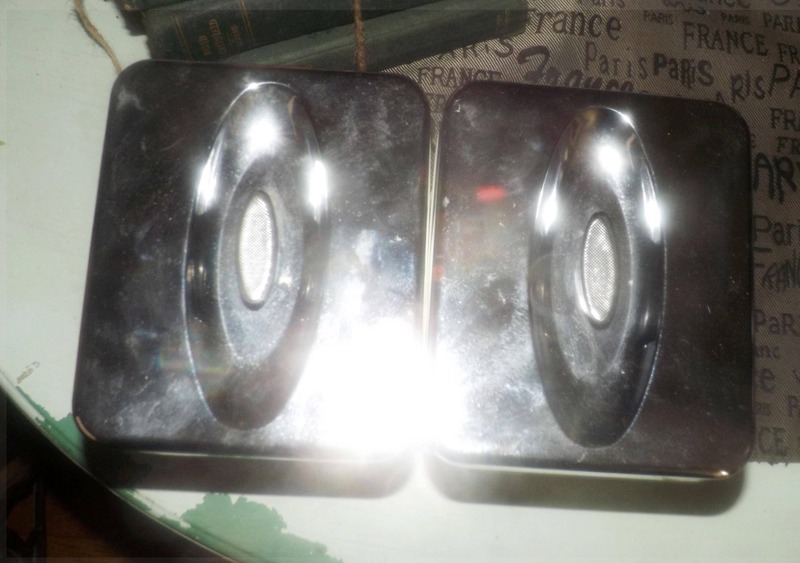 Great retro kitchen decor with a still-useful purpose, this pair of vintage metal Cheinco canisters, made in NJ USA, are in GOOD! vintage condition. 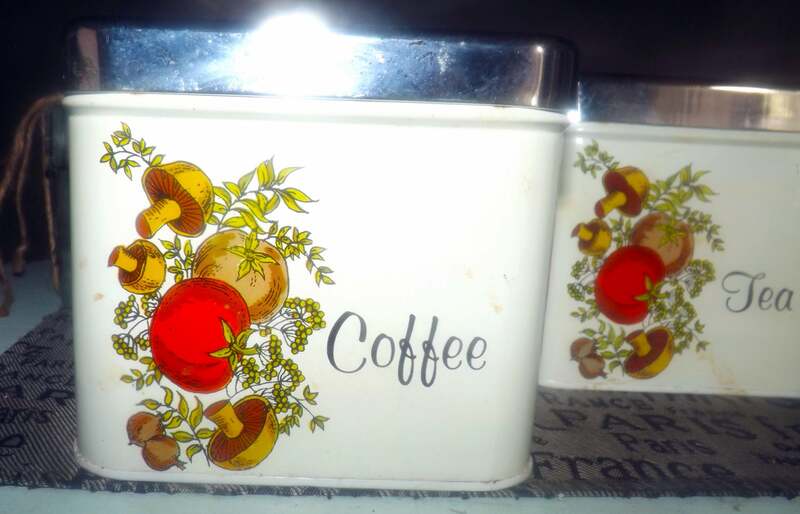 The coffee canister has one small ding to the metal on the side but otherwise, there are NO! other dints or dings to the metal and NO! rusting on the front, sides or interior. There are a couple of MINOR! spots of rusting to the base of the canisters and there are some LIGHT! scratches and fingerprints to the chrome. 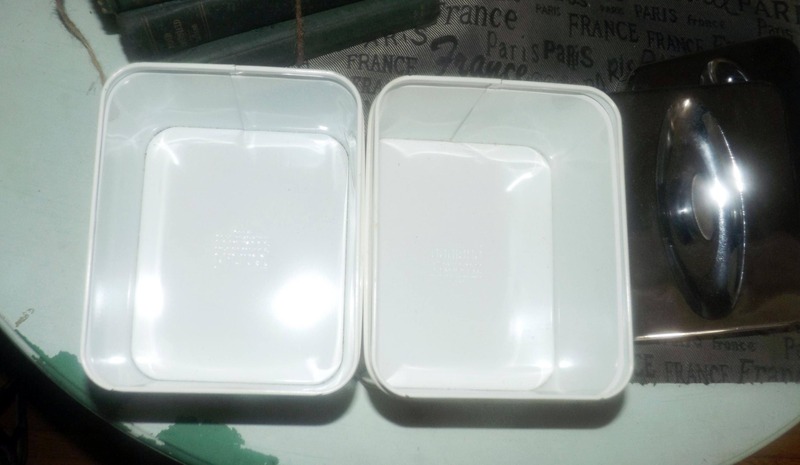 There are also some stains on the front of the canisters that MAY! come out with gentle scrubbing - we DO NOT! clean or touch-up vintage items so please DO! always review the posted photos for a complete visual of the condition). The vegetable imagery and Coffee and Tea wording is clear and legible with MINIMAL! wear or fading. 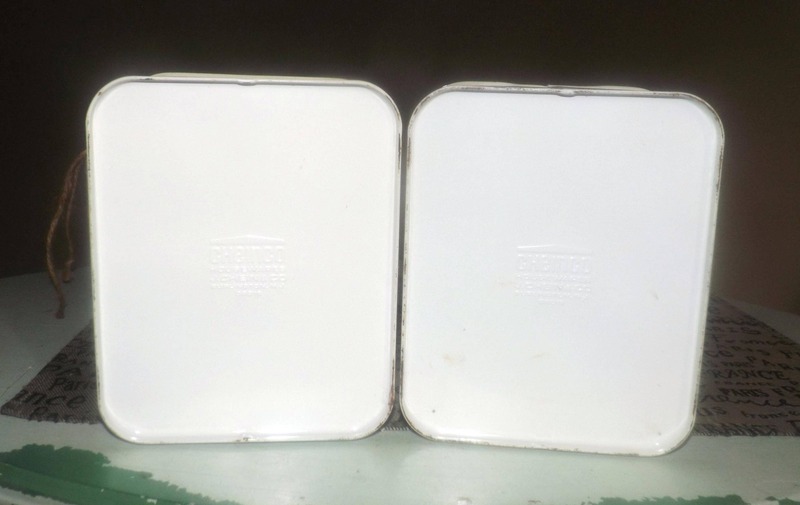 Approximate measurements: each canister stands 5-1/4" (NOT including the lid in this height measurement) with a depth of 7-1/4".